We love power, raw unadulterated thumping, makes your heart skip a beat kind of power and that’s the very stuff we do best. 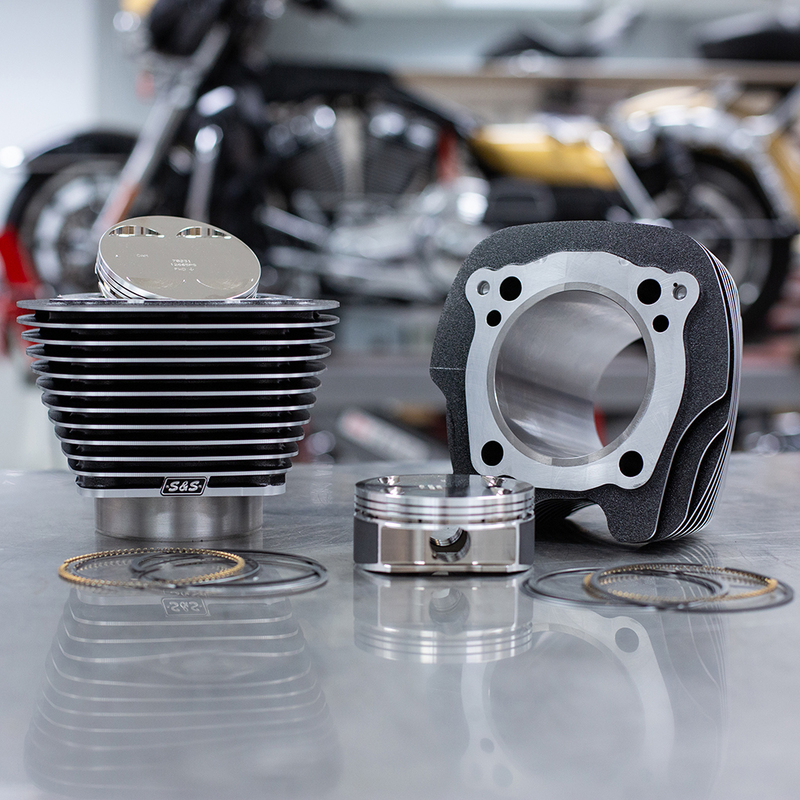 Our latest for the Milwaukee Eight® powered Harley-Davidson® models is certain proof of this obsession. 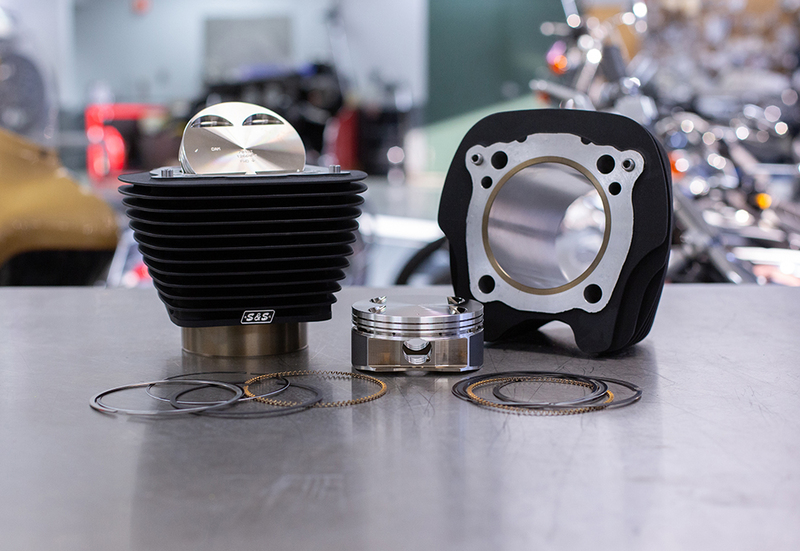 Bolt in 124 Cubic Inch (that’s over 2000cc for you metric folks) Big Bore Kit is just this side of being a monster. Taking the stock 107CI engine from a respectable 92Hp to a tire melting 125+Hp (and that’s with stock heads and throttle body! ), How about 135 ft lbs of pure twisting force (a 22% increase over stock!) that will transform your next, throttle onto the highway move into an authoritative launch. 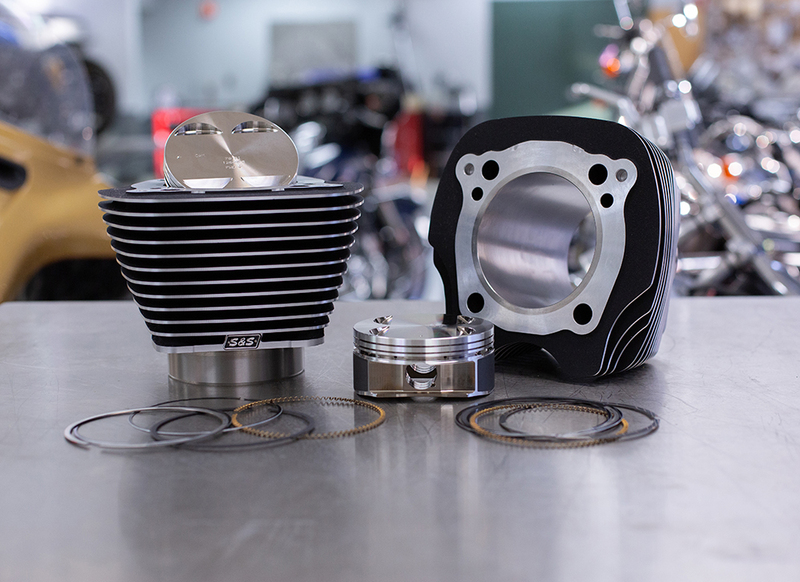 The S&S Big Bore kit is also available for the 114CI models, pushing them to a solid 128CI.